Sadhu, he found a pair of pigeons instead. They were near the big icicle.” These icicles were the personification of the Hindu deities, which are being worshipped since then, every summer. that a representative of the Malik’s clan would always be present at the shrine, along with the Mahant and Parohit’s during the pilgrimage. Since then, the legend suggests the Maliks’ have been part of the perennial Hindu pilgrimage. 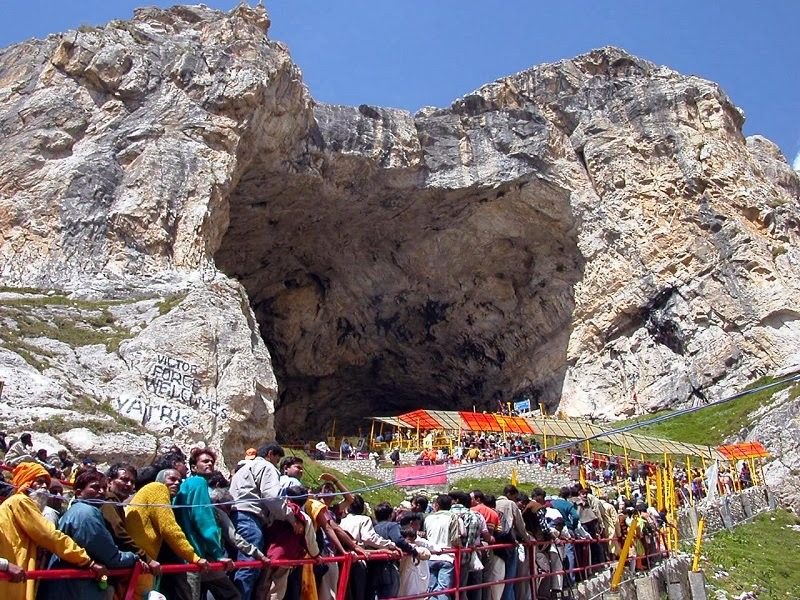 Having one-third stake holding, Maliks’ would stay at the cave with the Mahant and Parohits during the pilgrimage. After Buta’s death, his children replaced him. They would organise fortnight long yatra every year and later take their share of the income. It was the summer of 1984, when Afzal Malik, then a class ninth student, accompanied his father to the cave for the first time. Since then, he has never missed a yatra. He says the pilgrimage has given his clan an identity and an income. “Our forefathers would go there and pay the respect at the shrine,” he said. “Our family would go there like the members from Purohit Sabha and Charri Mubarak would be brought every year from Amritsar,” says Afzal. “Later, the Charri Mubarak begun to come from Srinagar.” As generations passed, the Malik clan at Batakote, village around five kilometres ahead of Pahalgam, comprised 11 extended families. Then something new happened. In 2000 things started changing after J&K legislature passed a law guiding setting up of a caretaking board. 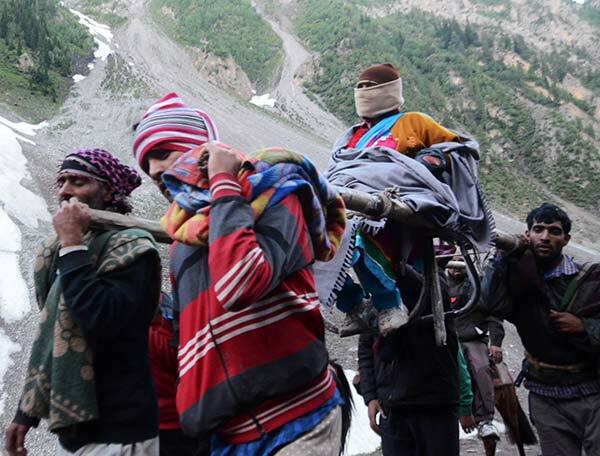 This was part of the recommendations that Dr Nitesh K Sengupta, who headed a committee that probed the death of more than 243 pilgrims during the midsummer snowfall over the tracks in 1996. 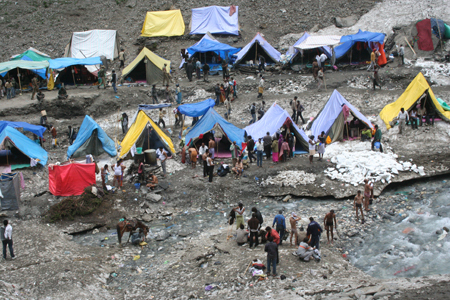 After Shri Amarnathji Shrine Board (SASB) was set up on February 12, 2001, it did away with all the hereditary rights that various families possessed. They all were offered one time settlement. As the main custodian of holy mace, Mahant Deependra Giri took a hefty bank cheque and left. Purohits of Mattan and Ganeshpora were reluctant and converted it into a dispute but finally settled. Descendents of Malik were the last. They were 150 members in the clan and were offered slightly more than a million rupees. “We were one-third shareholders but were reduced to one lack rupees,” Malik said. “Looking at out large family, each person would have received few bucks only.” Board took the decision in Jammu without consulting us. While officially the Buta Malik was out of business. 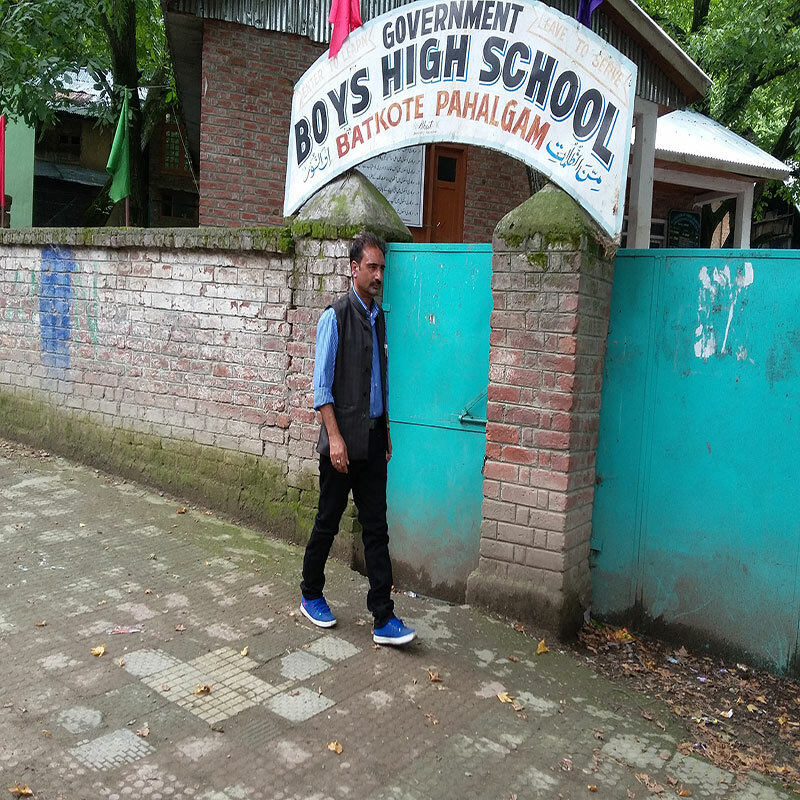 The reality is that Afzal Malik, father of three children is employee of state’s Roads and Buildings department has not dissociated himself from the Amarnath. He has changed the style of business. Earlier he would go up to the cave. Now he moves out into the plains. This year also, Malik visited the cave. “Till I can walk, I will not skip the yatra, I will continue to visit,” says Malik. Clean shaved with thin moustaches, Malik is average heighted man with slightly curly hair who is known in the area and for being closely attached to the yatra. His entire identity revolves round the cave shrine. While sitting in his room of single story house, he turns nostalgic flipping through the photographs of previous yatras. “This one is in the year 90. Ohh! Those years were so beautiful,” he says as he goes on filliping trough the album. As he goes on through the photographs, he shows how he would set a free medical camp for pilgrims even after Yatra management was taken over by SASB. Malik is not doing this all at individual level. He has a huge fan following. As Malik was speaking he gets a call from Delhi. “See here is example,” he tells before answering the call. After talking extensively he assures the person that he will tell someone to tie a shred at the cave. “This is not only about religion but about tradition and our faith in that,” he affirms. He says that some yatris still stop near their Batakote residence and exchange greetings. “We have great relations with the pilgrims. Even Pandith Jawahar Lal Nehru would not visit the cave without company of my grandfather, Ahmad Malik,” he says trying to portray the association of Malik family. Afzal’s parents are ailing. His father Ghulam Rasool Malik and mother Zaiba are sitting alone in a room watching television. Zaiba is diabetic and is confined to bed, says Gulam Rasool, while I don’t go beyond our lawn now. Their wrinkled face is lit with a smile as they recall their days when they would accompany yatra. “The pilgrims would pass through villages and amid welcome with traditional folk songs they would reach Batakote,” recalls Rasool. “We would serve them Kehwa,” says Zaiba. Zaiba was from Malik clan and was married in same family with Rasool who was only son of his father. “But my son is still associated with it despite that state doesn’t want us,” he says. Afzal has met top politicians and business men across mainland India. He counts on his fingertips the known personalities he has met. Malik wants the traditional practice to be revived. He says he will feel honoured to serve the yatris again. At the same time, however, Malik is concerned over the prolonging of pilgrimage from 15 to 45 days, saying it is becoming “great threat to the environment” and the helicopter service has added to it. “There was great hue and cry when SASB brought artificial Lingam,” he says. Maliks’ are a well established clan. Afzal says, there are more then eight medical doctors and more than dozen of engineers within the clan.